Nvidia GeForce GTX 1080 Ti vs. RTX 2080 Ti: Should you upgrade? It’s easier to explain than the decision to buy a GeForce RTX 2080 or GTX 1080 Ti, though, since those graphics cards offer virtually identical performance. Let’s dig in. In our performance tests across a suite of various games, the GeForce RTX 2080 Ti Founders Edition outpunched an overclocked PNY GTX 1080 Ti XLR8 by an average of 33 percent, and a whopping 45 percent in Middle-earth: Shadow of War and Rainbow Six Siege. Nvidia’s new flagship cleared 60 frames per second at 4K resolution with graphics options cranked to Ultra settings in every game but Ghost Recon Wildlands, whose top-end settings were designed to utterly melt GPUs. If you ditch anti-aliasing and drop the graphics settings in games down to High—a common visual configuration for pixel-packed 4K monitors—the GeForce RTX 2080 Ti clears 80 fps in all the games in our test suite. 4K performance with High graphics settings and anti-aliasing disabled. 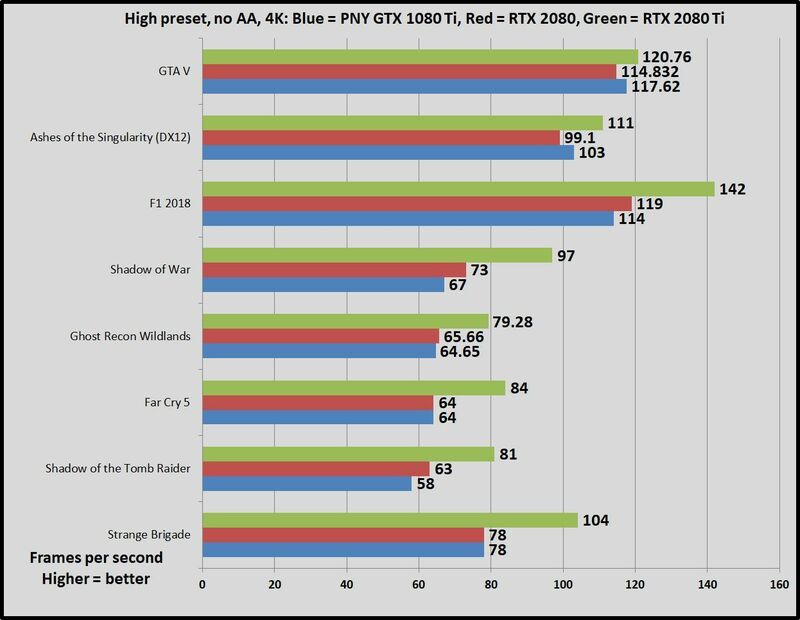 But here’s the thing: Most of the 4K monitors available today top out at 60Hz, a speed that the GTX 1080 Ti still meets across the board if you drop some visual settings down to High in games. Heck, the GTX 1080 achieves or almost achieves 4K/60 with everything cranked to Ultra in many of the games in our testing suite. If you already own a 4K, 60Hz monitor, you won’t see any of the GeForce RTX 2080 Ti’s performance gains, because your display simply won’t be able to keep up with it. The GTX 1080 Ti already pushes it hard enough. 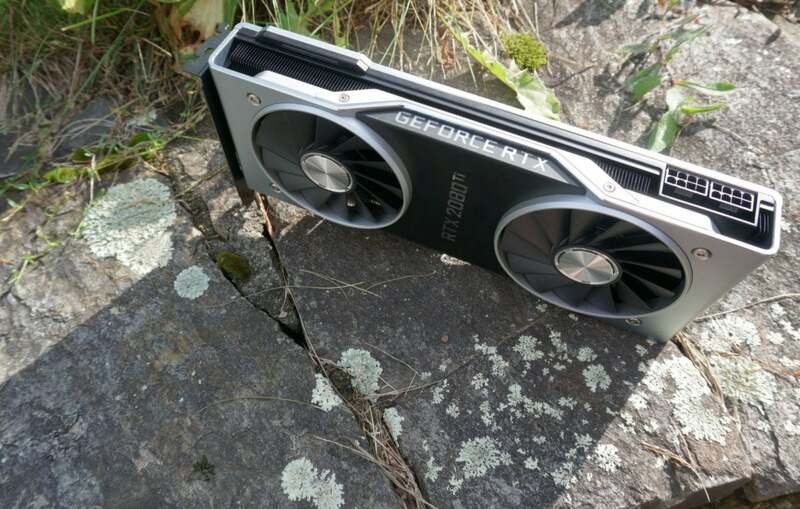 There are some cases where upgrading from a GTX 1080 Ti to the GeForce RTX 2080 Ti can give you a tangibly better experience, however (though I leave it up to you to decide whether investing $1,200 or more in a graphics card for 33 percent more performance is truly worthwhile). This summer, the first 4K, 144Hz G-Sync HDR displays, such as the Acer Predator X27, made their debut. They are utterly glorious—fast, pixel-packed, and blazing at a robust 1,000 nits. The GeForce RTX 2080 Ti is the first graphics card capable of pushing well past 4K/60 and feeding these wonderful displays at ultra-fast frame rates. If you’ve already invested in a G-Sync HDR monitor and want the best gaming experience possible, no matter the price, the GeForce RTX 2080 Ti is calling your name. Cheaper—well, “cheaper”—4K, 144Hz G-Sync monitors are coming from Acer later this year for $1,300. The GeForce RTX 2080 Ti, catching some rays and casting some shadows. The GeForce RTX 2080 Ti could pull ahead even further if Deep Learning Super Sampling (DLSS), an AI-enhanced anti-aliasing technique that delivers visual fidelity similar to temporal anti-aliasing (TAA) but 39 percent faster, takes off with developers. Twenty-five games already pledged support for real-time ray tracing or DLSS, though you won’t find either technology active in any games just yet. The GeForce RTX 2080 and RTX 2080 Ti include dedicated RT and tensor core hardware that enable these cutting-edge features. The GTX 1080 Ti doesn’t. That said, new gaming technologies have a spotty track record for actually gaining support from developers, especially near-term. 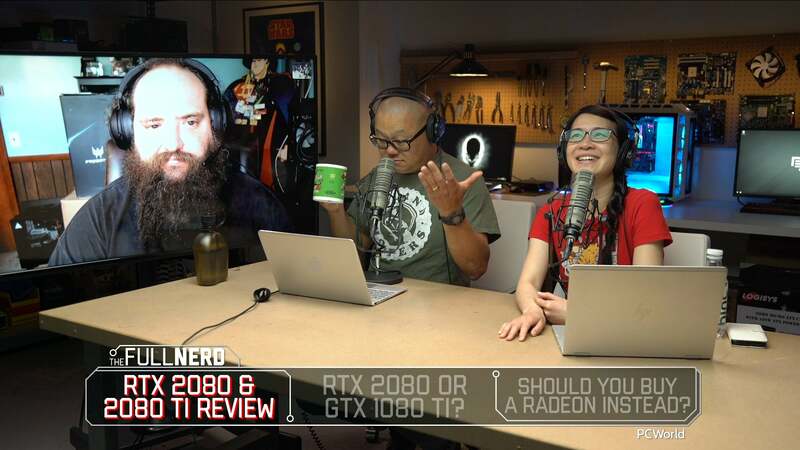 The ones we’ve talked to are pumped about ray tracing and DLSS, but we wouldn’t recommend taking the promise of ray tracing and AI-enhanced graphics into account if you’re deciding whether to buy a GeForce RTX 2080 Ti today. If you want to read more about how ray tracing and DLSS work on a technical level, check out our deep-dive into the Turing GPU inside the GeForce RTX 2080 Ti. Should you upgrade from a GeForce GTX 1080 Ti to a RTX 2080 Ti? Bottom line: Only consider upgrading from the GeForce GTX 1080 Ti to the RTX 2080 Ti if you have a high refresh-rate 1440p or 4K monitor. And, uh, a lot of disposable income. If you have a 4K/60 monitor already, sit tight with the GTX 1080 Ti. The GeForce RTX 2080 Ti launches on September 27. You can preorder Nvidia’s own GeForce RTX 2080 Ti Founders Edition for $1,200 at Best BuyRemove non-product link and GeForce.com, and several custom, overclocked versions can be found on Newegg.comRemove non-product link for prices ranging from $1,169Remove non-product link to $1,299Remove non-product link—though they’re all currently sold out. 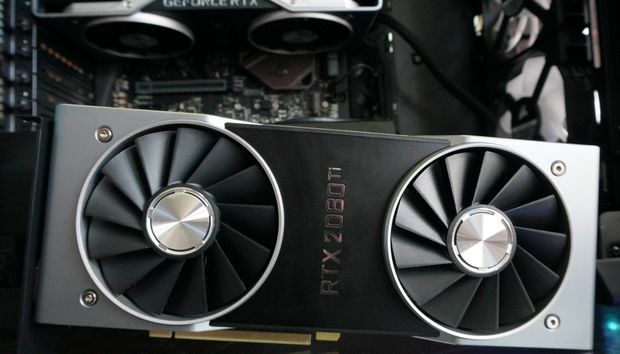 If you want more information while you’re waiting for them to get back in stock, be sure to read PCWorld’s comprehensive GeForce RTX 2080 and 2080 Ti review.